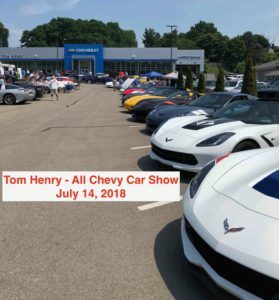 This past Saturday, July 14, 2018 was Tom Henry’s All Chevy Car show and CCWP was there in force with nearly 20 of the 35 Corvettes present. There were from my unofficial count nearly 100 cars overall attending. 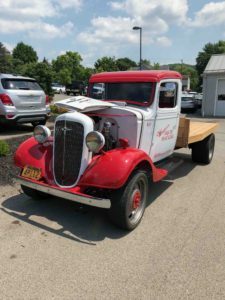 Tom Henry was a very gracious host with allowing us to spend time in the dealership showroom get out of the heat and use the facilities. They also provided “FREE” tacos to everyone attending and water, soda too!.. 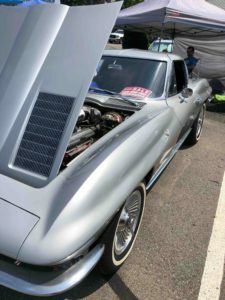 There where two food trucks and plenty of good fun and conversations with other car owners including a well represented group from North Pittsburgh Corvette Club. It was a pleasure to meet Paul Schulze and compare ideas on how we could do combine events in the future! 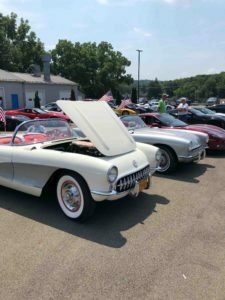 Kate “Henry” Durbin and Sue Henry brought their personal Corvettes and was thrilled to park them among ours!